"Well, I definitely don't feel hindered by the democratic process of being in a band." 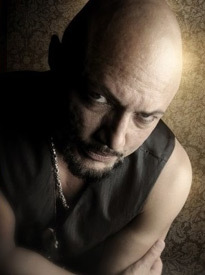 Former Queensrÿche vocalist Geoff Tate's new project Operation: Mindcrime put out the final chapter in their inaugural trilogy this past fall and as the singer brought an ensemble of 5 hired musicians to Stockholm and other parts of Sweden for an acoustic hits performance that includes songs from all over his long career, Metal Covenant got a chance to talk to him for a brief moment right after the show. "Queensrÿche never did anything straight. It was always with twists and turns, and drop the beats, and interesting chord arrangements, and things like that. So it's challenging stuff to play." Tobbe: Last year when you were here, in January, the whole touring party was sick, and I just talked to your wife [and manager, Suzan] and she's sick right now, so what's wrong with the beer over here? Geoff: I don't know what it is. It runs through our whole camp here. It's this horrible flu. Yeah, my wife's got it really bad, Lee [Reston, drums] has it, Bruno [Sa, keyboards] has it and I'm kind of like on the edge, fighting it off, you know. Scott's [Moughton, guitar] had it; he lost his voice. In fact Bruno and Scott both lost their voice. They're just kind of coming back now. So it's just going around, you know. It's what happens when you tour sometimes. Tobbe: About the trilogy. You have recently finished it. And to what extent does the lyrics dictate the music rather than the music is the foundation of the lyrics? Tobbe: Is it very hard to find the right mood or the atmosphere to each song or do you immediately know kind of the full song when you start off? Geoff: Yeah. A lot of times you do. A lot of times it just pops in your head and you go with that intuition and go with what feels right, you know what I mean? Tobbe: And as a writer of all 3 albums, is it possible to look at each album separately or do you see those 3 albums as one whole thing? Geoff: Well, I kind of conceived the whole thing as a one-piece, but logistically it would be impossible, you know, sort of put it all together at the same time, so. Although we did record the bulk of it at the same time, it kind of was easier to think of it in terms of separate pieces; 3 separate pieces. 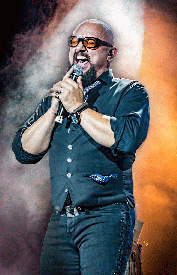 Tobbe: You're out celebrating the 30th anniversary of the Operation: Mindcrime album of course and you're here in Sweden playing an acoustic set, and I can't help but wonder, isn't this just the right time to go out and support the trilogy instead? Geoff: Well, you know, it used to be a model that you would make a record and then you would release it and then go out and tour and support that record, but all those models have all been changed now. You know, there's no rules anymore. You know, the 30 year anniversary of an album doesn't come along every day, so when it does, like, you kind of have to jump on it and take advantage of it. You know what? We get so many requests to play that album that it seemed like the right time to do it. Tobbe: Just how important is it to you to have the freedom or the space in your life to go out there and be able to play different things live and not playing the same stuff all the time? Geoff: It's ultimately important. I have 19 albums and I got a lot of material to pick from and choose from and, you know, I like to sort of present myself in a different way each year when I go out. I think people that enjoy my music like that and they like to see it and hear it in different formats, with different players, and they never know what they're gonna get. They know it's gonna be good and entertaining, but they don't know quite what to expect and I think that's good and it keeps them interested, you know. It keeps me interested. Tobbe: You've been quite frequent with record releases in the last couple of years and do you feel like you've never been more creative than now, really? Geoff: Well, I definitely don't feel hindered by the democratic process of being in a band. It tends to sort of tie your hands because maybe you create a move at a certain pace, but the others don't. So you're constantly in conflict with that and that kind of conflict being around that every day just actually kind of breaks your spirit down a little bit. So being able to move at your own pace and have that freedom to create and do things the way you feel like doing them is fantastic. I really love it and I'm so happy, you know. Tobbe: When you set out to do the trilogy, did it ever occur to you that fans all around the world would probably wanna see those 3 albums live some day? Geoff: Oh, I know. I plan on doing it at some point. I like to play maybe a limited run. It's 3 hours of music, so. That's a lot for people to take in. So I understand that and I think perhaps in the future, in the near future even, we could do kind of a limited run of the album. Maybe play them all. You know, maybe film it. It would be kind of fun to do that. Tobbe: What about playing 90 minutes and then take a 30 minute break and then play the last 90 minutes? It would be easier if you're gonna do 3 hour shows and a couple of them, you know. Tobbe: Totally. When playing songs off the trilogy, how is it even possible to pick out just a song or a few songs to play out of all those songs? Tonight you played one, The Fight. Geoff: Well, it's like that with every tour I do. There's only so long I can play every night and there's 19 albums worth of stuff and there's a 160 some odd songs, you know, that I have to pick from. It's hard to do, you know. And then also getting the band to be rehearsed on them. My music tends to be pretty complex stuff and it's not easy for musicians to grasp it right away. Oftentimes they hear it and "Oh yeah. I got that." and they start to play it and they don't. Tobbe: So is it relieving to finally have finished that, I guess, arduous work with the trilogy and, like, set aim for maybe something not quite so massive and that doesn't necessarily need a story behind it? Tobbe: And hopefully you give some time to your family as well. Geoff: Well, that's the problem, you know. Sometimes it's just, you know, you can be having family time, but your brain is, like, thinking of a melody that you were working on earlier, like "Oh, wait a minute. I'll be right back. I finally find that note.". 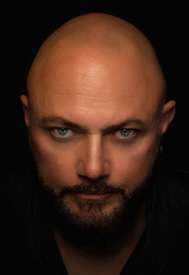 Tobbe: So what may be the next step for Geoff Tate, in terms of releasing another album? Geoff: I don't know. I don't have any plans right now. I've kind of pretty much dedicated 2018 to touring. I'm gonna be touring everywhere I possibly can. I don't know about 2019 yet. I know my year is pretty filled up with touring right now and I've got all kinds of commitments. And I really have been enjoying doing guest appearances for people. I played this last year with Avantasia and had a great time with them. And played in South America with Angra and had a great time playing with them. Great musicians. I like playing with really good players, you know, and experiencing that. It's really fun to me, after being in the same band for so long, playing with the same people for 30 years. It's nice to play music with other people. 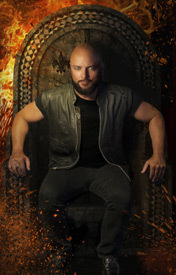 Tobbe: I saw you in Barcelona on stage last summer when Queensrÿche was playing and what led up to you standing there on the side all of a sudden? Geoff: Oh yeah. That was good. That was the first time I had seen them without me. I was with Avantasia that day and I heard Queensrÿche was playing, so I went out to see them play. I think they played at 3 o'clock or something. I went out and saw the guys and talked to them and that was the first time we had spoken since the break-up, you know. So it was kind of a monumental moment, you know, in our little small history. Tobbe: So tell me about your wine. Geoff: Well, I started making wine when I was a teenager actually. I made my first batch of wine when I was 14 and really got into the chemistry of it and I happen to live in an area that's, well, becoming very famous for its wine. Through my travels I have actually become quite knowledgeable about wine from different regions and I have a lot of collected wine that I collect and put in my cellar. And I started making my own wine as a hobby and it turned out to be kind of a business now. So I make a brand called Insania and we have a red and a white and the red is pinot noir, black grape, and the white is a pinot gris. And that's all you need to know. Other than that, it's a great wine. You drink white wine for breakfast and red wine at every other meal. Tobbe: What other types of products might some day bear your reputable name? Geoff: I don't know. I'm not really interested in doing too much, other than maybe neckties, 'cause I love neckties, so maybe I'll have a line of neckties at some point.